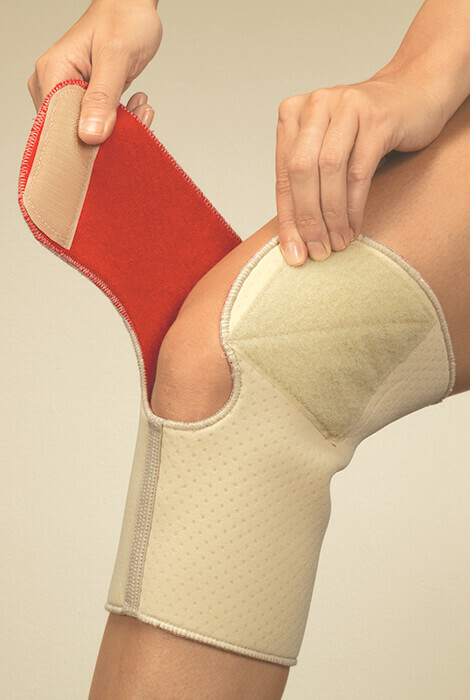 Soothe an arthritic, strained or aching knee with warmth and support. Arthritic neoprene knee wrap’s triple-layer design wicks moisture from skin, retains body warmth, and insulates while encouraging circulation. 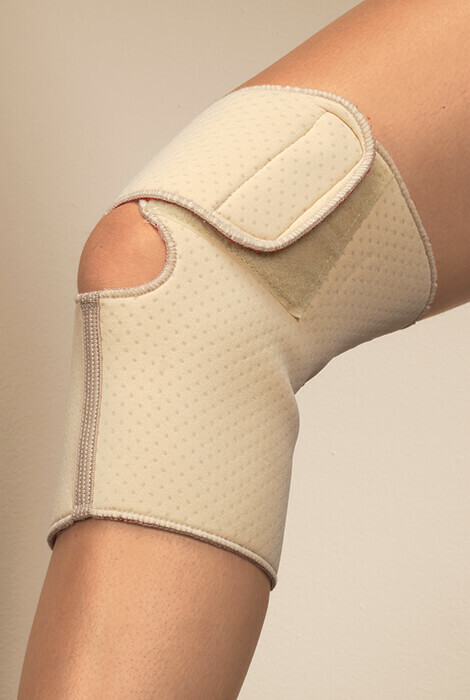 Designed for all-day comfort and stability, the knee support features a soft, antimicrobial micro-terry inner layer, open patella to relieve pressure on the knee cap, tapered back, and adjustable hook-and-loop closure to fit either right or left knee. Measure around knee cap, then choose from 4 sizes: small (13”–14”), medium (14”–15”), large (15”–17”), XL (17”–19”). Knee brace made with latex-free neoprene/nylon/polyester. Hand wash; dry flat. Made in USA. Retains body warmth and insulates while encouraging circulation. Open patella to relieve pressure on the knee cap. Measure around knee cap, then choose from 4 sizes: small (13”–14”), medium (14”–15”), large (15”–17”), XL (17”–19”). Hand wash; dry flat. Made in USA.